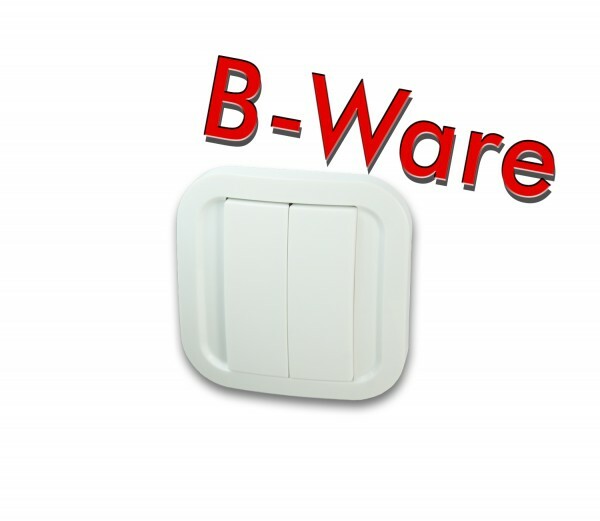 Product information "NodOn Wall Switch"
With the NodOn 2 button Wall Switch you can control Z-Wave devices such as lamps, shutters or switchable sockets directly (stand-alone mode). Connected to a Z-Wave control center, it is also possible to activate defined scenes by push of a key (gateway mode). With the NodOn Wall Switch, you can control your smart home devices and scenes – also at places where a conventional light switch is missing. Furthermore, functionality is more variously, because you can switch all lights simultaneously with only one push of a button. Dimming the light and driving shutters up and down is also possible with the NodOn Wall Switch. We would like to point out that this article is not a new product. The product has got the complete functionality and can be integrated into a Z-Wave Smart Home without restriction. We offer to you a guarantee of 2 years. With a possible return you receive a credit note, there is no exchange of the product. The picture may not correspond to the scope of delivery of the product. If you are interested in a larger quantity of used products, please contact your sales representative. Related links to "NodOn Wall Switch"